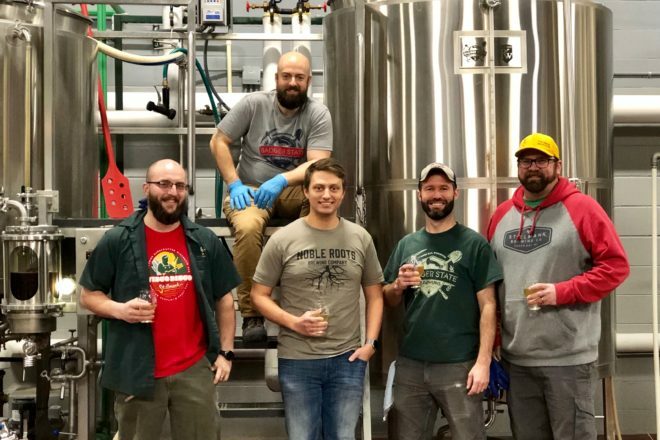 Eight breweries in northeastern Wisconsin banded together to brew an IPA to help California wildfire victims. The idea came from Sierra Nevada Brewing Co. of Chico, California, which is in the heart of the area burned by the devastating Camp Fire. The brewery created the Camp Fire Relief Fund and came up with a West Coast IPA recipe it calls Resilience. Sierra Nevada sent the recipe to breweries across the country in the hope that others would join the effort to raise funds for those who lost homes in the fire. Brad Stillmank of Stillmank Brewing in Green Bay was the area contact for Sierra Nevada. Stillmank loved the idea, but he knew his brewery and taproom would not be able to sell enough to make a real difference. Ultimately, seven other breweries joined Stillmank in the brewing/fundraising effort: Hinterland, Titletown, Badger State, Noble Roots and Copper State from Green Bay, Ahnapee from Algoma and ThumbKnuckle from Walhain. Stillmank said this is not the first time the Green Bay breweries have collectively brewed. In addition to all the brewers showing up at Badger State for the brew day in early December, Stillmank said members of the Green Bay Fire Department also showed up to participate and show support. “It was a really fun day,” he said. Sierra Nevada’s recipe for Resilience IPA was pretty simple. He added that the project also had the support of brewery suppliers. The collective brewed 15 barrels (450 gallons).